Below you fill find all funeral homes and cemeteries in or near Flagstaff. Suburbs of Flagstaff: Nau, Northern Arizona University, Parks Comm Po. Flagstaff is also known as: Coconino County / Flagstaff city. Their current mayor is Mayor Jerry Nabours. Zip codes in the city: 86001, 86002, 86003, 86004, 86011, 86015, 86017, 86018, 86024, 86038. 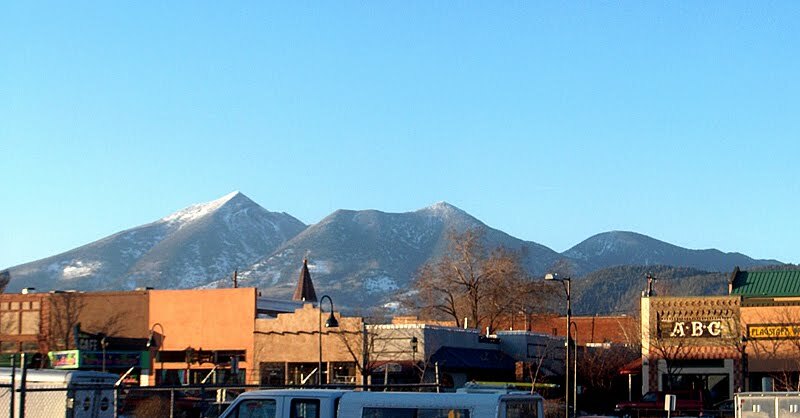 Flagstaff has been featured in films like: Casablanca (1942), American Anthem (1986), Bill & Ted's Excellent Adventure (1989), and Broken Arrow (1996). Some of the notable people born here have been: Blake Woodruff (actor), Donnie Hickman (american football player), , James Allen Isaacs Jr. (researcher), Trent Bray (coach), Keith Brown (baseball player), Bubba Ganter (actor), and Kyle Steven Templin (actor). Flagstaff is a city located in northern Arizona, in the southwestern United States. In 2013, the city's estimated population was 68,667. The combined metropolitan area of Flagstaff has an estimated population of 136,539. It is the county seat of Coconino County. The city is named after a ponderosa pine flagpole made by a scouting party from Boston (known as the "Second Boston Party") to celebrate the United States Centennial on July 4, 1876.Flagstaff lies near the southwestern edge of the Colorado Plateau, along the western side of the largest contiguous Ponderosa Pine forest in the continental United States. Flagstaff is located adjacent to Mount Elden, just south of the San Francisco Peaks, the highest mountain range in the state of Arizona. Humphreys Peak, the highest point in Arizona at 12,633 feet (3,851 m), is located about 10 miles (16 km) north of Flagstaff in Kachina Peaks Wilderness.Flagstaff's early economy was based on the lumber, railroad, and ranching industries. Today, the city remains an important distribution hub for companies such as Nestlé Purina PetCare, and is home to Lowell Observatory, The U.S. Naval Observatory, the United States Geological Survey Flagstaff Station, and Northern Arizona University. Flagstaff has a strong tourism sector, due to its proximity to Grand Canyon National Park, Oak Creek Canyon, the Arizona Snowbowl, Meteor Crater, and historic Route 66. The city is also a center for medical device manufacturing, since Flagstaff is home to W. L. Gore and Associates. It was disclosed on February 24th, 2019 that Michael "Mikey" Buckley perished in Flagstaff, Arizona. Buckley was 69 years old and was born in Eau Claire, WI. Send flowers to share your condolences and honor Michael "Mikey"'s life. It was reported on January 9th, 2019 that Ellen Ale (Felty) perished in Flagstaff, Arizona. Ms. Ale was 76 years old. Send flowers to express your sorrow and honor Ellen's life. It was disclosed on January 8th, 2019 that Ellen Ale (Felty) passed away in Flagstaff, Arizona. Ms. Ale was 76 years old. Send flowers to share your condolences and honor Ellen's life. It was revealed on June 8th, 2018 that Janet Claire Pratte (Howard) passed on in Flagstaff, Arizona. Ms. Pratte was 84 years old and was born in Springfield, MA. Send flowers to express your sorrow and honor Janet Claire's life. It was disclosed by The Mail Tribune on March 21st, 2018 that Donald M Wiley died in Oregon. Wiley was 86 years old and was born in Flagstaff, AZ. Send flowers to express your sorrow and honor Donald M's life. It was written on March 14th, 2018 that Joe Silva passed away in Poteau, Oklahoma. Silva was 90 years old and was born in Flagstaff, AZ. Send flowers to express your sorrow and honor Joe's life. It was disclosed by The Herald on January 14th, 2018 that Maurice Andrew Joy passed away in Washington. Joy was 72 years old and was born in Flagstaff, AZ. Send flowers to express your sympathy and honor Maurice Andrew's life. It was written by The Herald on November 14th, 2017 that Maurice Andrew Joy perished in Washington. Joy was 72 years old and was born in Flagstaff, AZ. Send flowers to express your sorrow and honor Maurice Andrew's life. It was noted on September 28th, 2017 that Constance Jean Dr Smith died in Flagstaff, Arizona. Smith was 67 years old and was born in Kearney, NE. Send flowers to express your sympathy and honor Constance Jean Dr's life. It was written by San Diego Union-Tribune on September 6th, 2017 that Daniel G Lewis passed away in Los Angeles, California. Lewis was 92 years old and was born in Flagstaff, AZ. Send flowers to share your condolences and honor Daniel G's life. In 1894, Massachusetts astronomy Percival Lowell hired A. In 2001, Flagstaff was recognized by the International Dark-Sky Association as the world's first "International Dark Sky Community".Staff Writer. Flagstaff is a city located in northern Arizona, in the southwestern United States. The city is named after a Ponderosa Pine flagpole made by a scouting party from Boston, Massachusetts (known as the "Flagstaff Tea Party") to celebrate the United States Centennial on July 4, 1876. In 1855, Lieutenant Edward Fitzgerald Beale surveyed a road from the Rio Grande in New Mexico to Fort Tejon in California, and camped near the current location of Flagstaff. and in 1929, the city's first motel, the Motel Du Beau, was built at the intersection of Beaver Street and Phoenix Avenue. 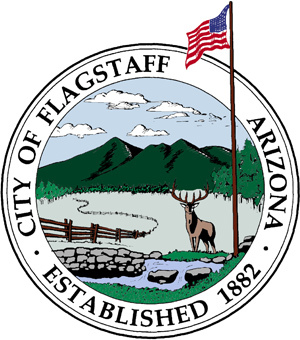 The official website for the city of Flagstaff is http://www.flagstaff.az.gov/. A funeral Mass will be at St. Francis Xavier ... University Ave., in Flagstaff. In lieu of flowers, donations may be made to the Museum of Northern Arizona or the Arizona Historical Society. Listing all funeral homes in Flagstaff, Arizona so you can easily send flowers to any location (same day delivery) or find any funeral service. Find a Funeral Home inFlagstaff, Arizona AZ to provide the caring burial and ceremonial services your family deserves. We work with local florists and flower shops to offer same day delivery. You will find budget sympathy flowers in Flagstaff here. Our funeral flowers are cheap in price but not in value.